Happy First day of Spring! Although there is still quite a bit of snow out there, I know the nicer weather is coming. It also makes Monday seem a little friendlier when the word "Spring" is associated with it. Am I right? So today I want to introduce a new 5 day challenge and also let you know with pictures how I did last week. 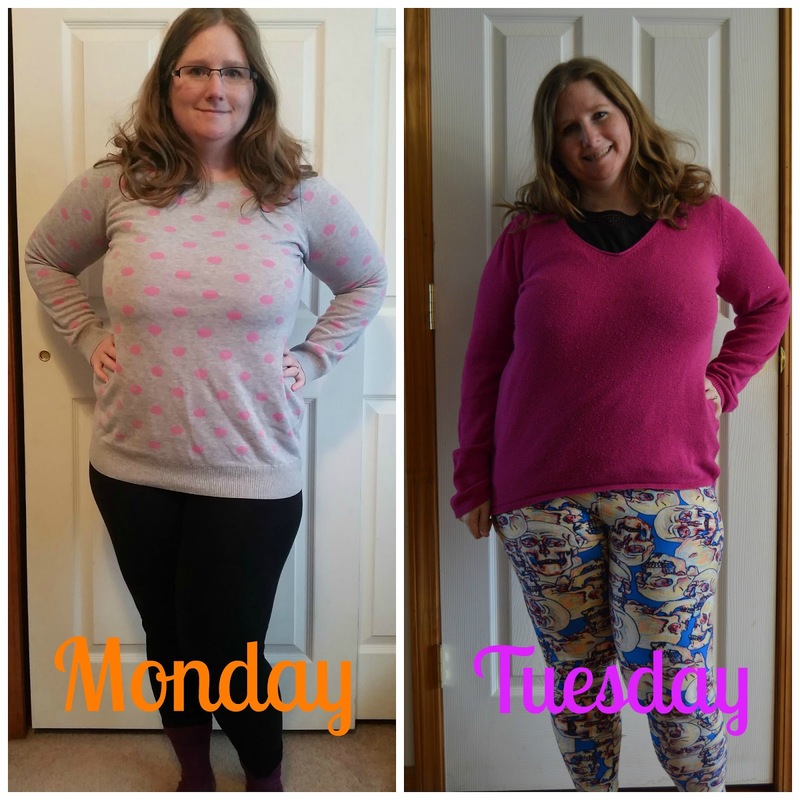 Last week I challenged myself to get dressed 5 days in a row. That to me meant changing out of what I wore to bed into something new. Working from home can make it easy to hop out of bed in your PJ's and start work. 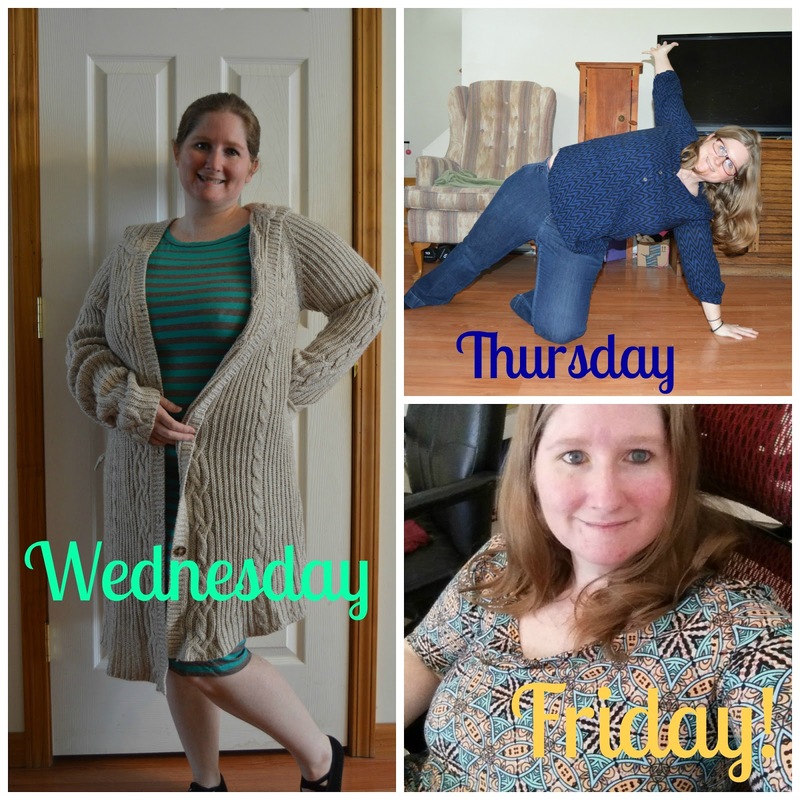 I am excited to announce that I met my goal and dressed all 5 days! I learned it really made me feel put together and made me take my work seriously. I also realized I own A LOT of leggings! But ya know what? When you sit 8 hours a day, this is okay in my book. Plus it's winter. This week I am challenging myself to drink 80 ounces of water every day. Spring is here and I am ready to start working on myself. I gained some weight over the winter and clothing is a bit snug. Time to work towards that summer goal so I don't need to buy a new swimsuit! My current one is new from last year. 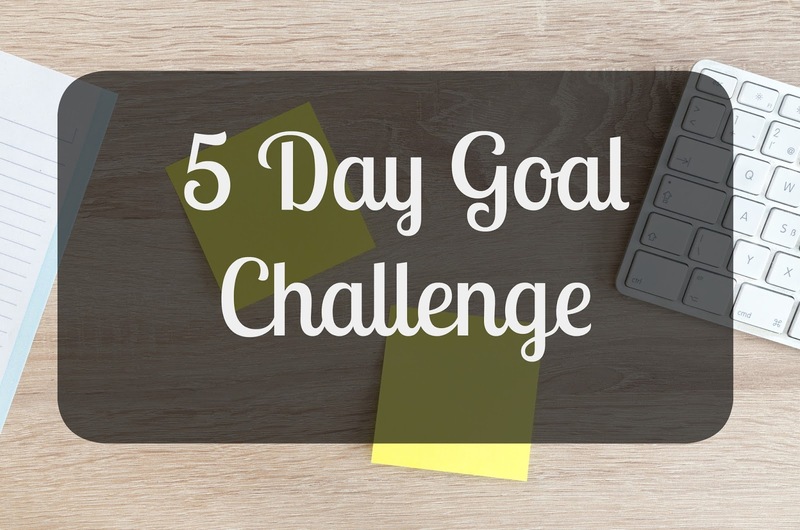 Will you be joining me in this challenge? Check back to see my results next week!